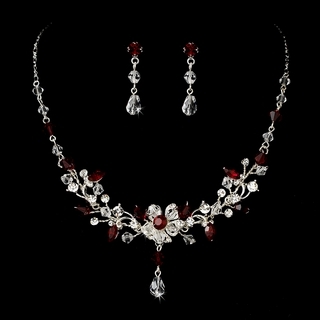 Elegant and sophisticated, this silver-plated necklace and earrings set features an assortment of clear and red Swarovski and rhinestone crystals, arranged in a lovely floral design. Additional extenders are available for purchase on our "Necklace Extensions" page. 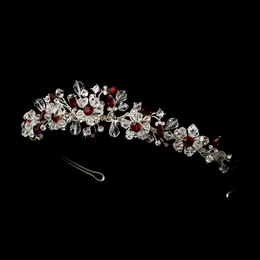 This lovely hand-crafted set would be perfect for a wedding, prom, homecoming dance, or formal gala!